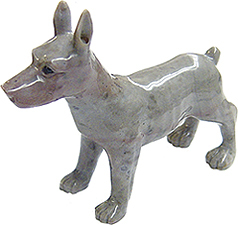 Item #GS-2125: .75"x2.25"x1.75" tall Ohio Flint Dog. 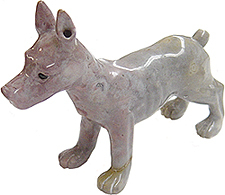 Item #GS-2126: 1"x3"x2.25" tall Ohio Flint Dog. 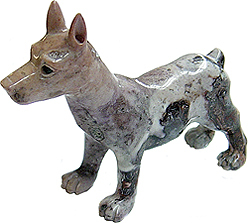 Item #GS-2126: 1"x3.25"x2.75" tall Ohio Flint Dog. Item #GS-2128: 1"x3.25"x2.75" tall Ohio Flint Dog.